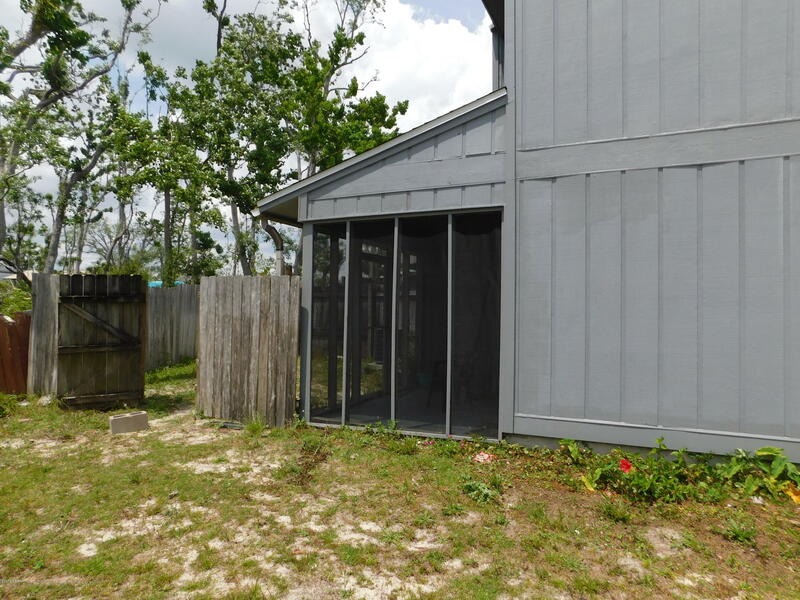 This is a well kept TH with new roof, this is an end unit with views of the water. The 1st floor offers tiled floors, laundry room, half bath and nice size kitchen with side by side refrigerator, stove and dishwasher and breakfast bar overlooking the living area. Living room has brick wood burning fireplace also screened porch just out your new sliding doors. Screened porch also has a large storage room. Minimal damage from the hurricane. 2nd floor offers 2 very large bedrooms with his and hers closets and Jack and jill bath with linen closet. The front bedroom has a balcony with views of the bayou. Bedrooms are carpeted. There are some furnishings with this unit as well as a washer and dryer.